Browsing among the elegant and superbly cut collection in Wellington’s Taylor Boutique in the Old Bank Building on the corner of Customhouse Quay and Hunter Street, one might well wonder if the name Taylor is play on the name of the age old trade. But no, Taylor is the family name of founder Vicki Taylor, daughter, as it happens, of a fashion industry family. Still, exquisite tailoring, along with impeccable production and the closest attention to detail, is a hallmark of Taylor pieces. So is fine cloth and all fabrics are carefully selected form the world’s best mills. The house of Taylor is staunchly Aotearoa New Zealand. 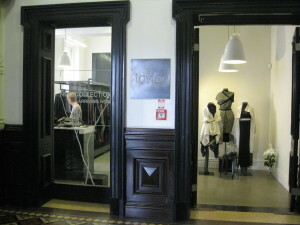 Taylor fashions are fully designed and manufactured in New Zealand. Furthermore, Taylor has steered clear of global stores and outlets. Taylor collections are sold only in Taylor boutiques and online stores. Careful, classy and 100% pure New Zealand – that’s Taylor!